Spare microscope slides with ultra thin Carl Zeiss Glass bottom plates x 14 each slide, per pack $157. Spare settling chambers (a.k.a. chimneys) x any volume (5, 10, 25, 50 or 100ml) $41 each. 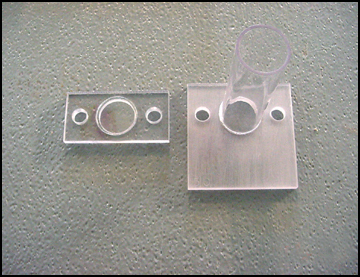 To avoid leaking, setting chambers larger than 50 ml generally require the use of vacuum grease to hold a perfect seal between microscope slide and settling chamber base plate. However, this grease creates a messy and cumbersome cleanup. 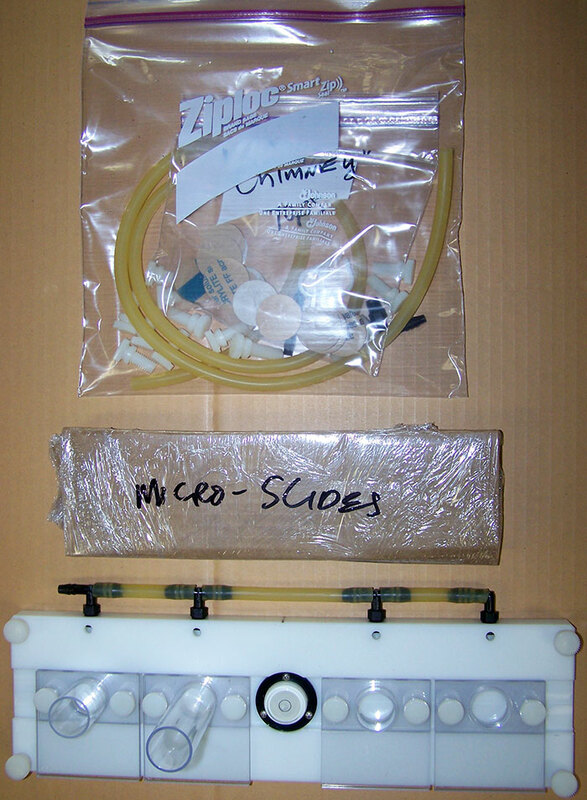 Below, we describe a tip for eliminating the use of grease to settle larger volume chambers. 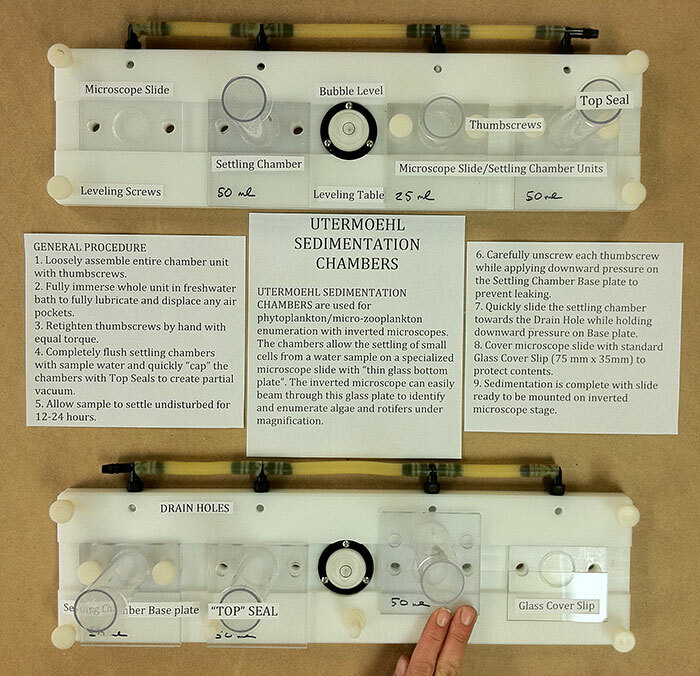 Place fully assembled chamber unit (with microscope slides and settling chambers fastened to leveling table) in a shallow sink, cooler or water bath. 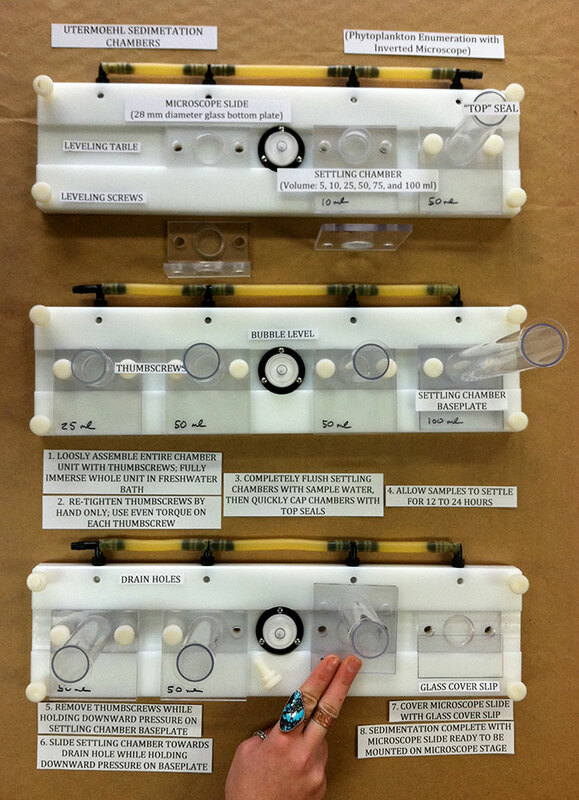 Carefully fill the water bath with tap water until the settling chamber/microscope slide plates are fully immersed. 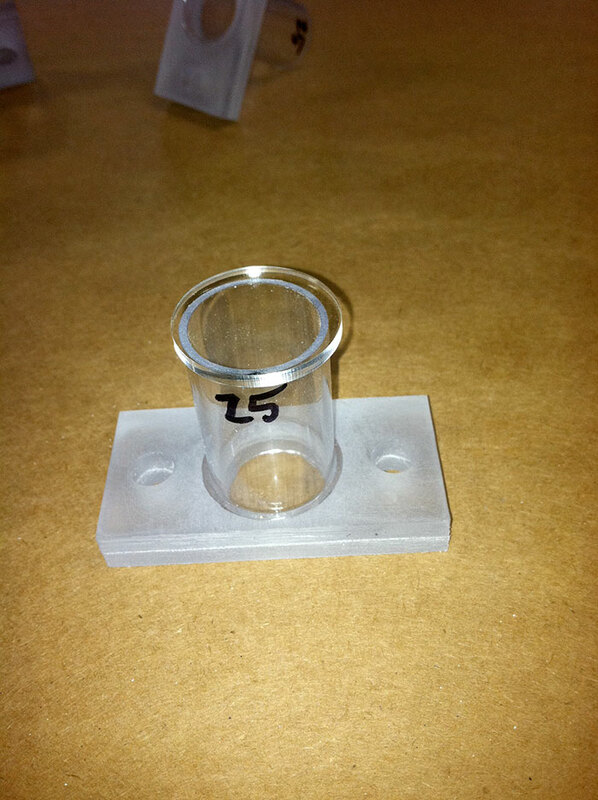 When using 50,75 and 100 ml chambers, fill the water bath as full as possible without flooding the chamber tops. 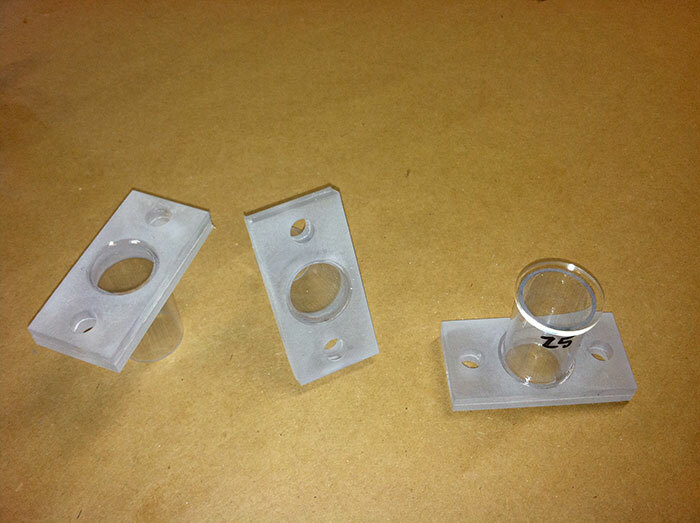 The above procedure alleviates the effects hydrostatic pressure on the seals between the microscope slides and settling chamber base plates, thus creating a perfect seal without use of grease. Follow directions according to standard direction set. Allow chambers to settle for 12 hours under full emersion. 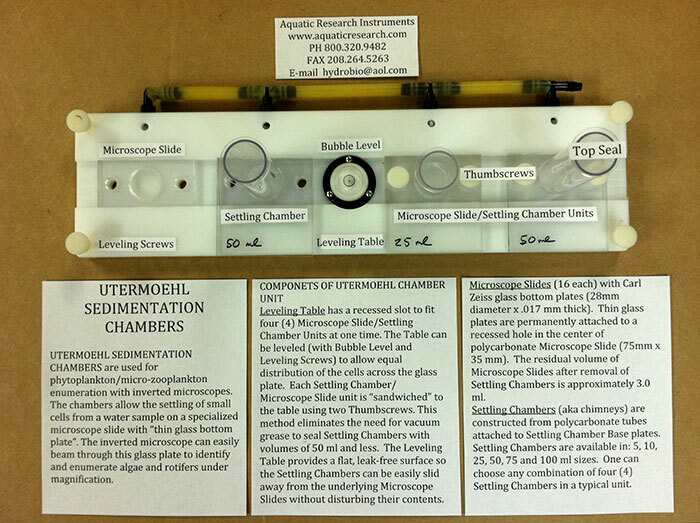 Carefully remove chambers from sink and quickly work to slide setting chambers off underlying microscope slides. Microscope counting chambers are compressed between settling chambers and leveling table by knurled thumbscrews. Hence, vacuum grease is generally not needed when settling volumes less than 50 ml. Settling chambers are filled with sample water and allowed to settle for 24 hours. 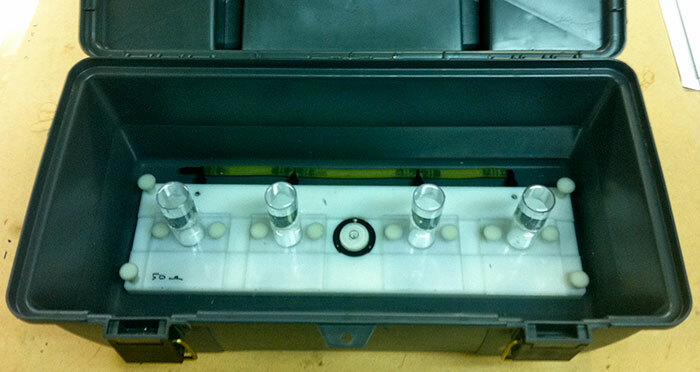 Carefully remove thumbscrews while applying downward pressure on settling chamber base. Slide settling chamber forward towards evacuation hole to drain contents safely. Underlying microscope counting chamber remains undisturbed and ready for examination with inverted microscope.